Pre-existing Level 7 balayage from 8 months prior. There’s a different brunette for every type of client, and that’s why we’re putting them all in one place. So, you can sit back and scroll through eight rich, multi-tonal formulas that are total perfection. Then, go and work some color magic behind the chair! 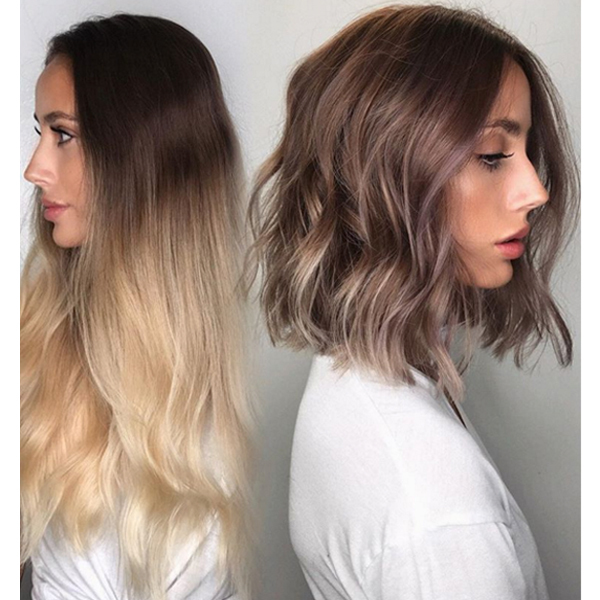 This brunette balayage is giving us major hair envy...as most of @prettylittleombre's work does! So, if you're crushing on this color as much as us, check out the formula deets below. It’s safe to say Mika Rogerson (@mikaatbhc), the 2017 #ONESHOT Hair Awards winner for Hair Paint Shot of the Year, is a master at taking natural hues and kicking them up a notch by adding warmth and dimension. Achieving that perfect, Insta-worthy ashy tone can be tricky, but it's not impossible. One colorist who's got it down? #ONESHOT finalist Sarmad Najem (@hairbysarmad). Want to know how he masterfully created this ashy brunette blend?